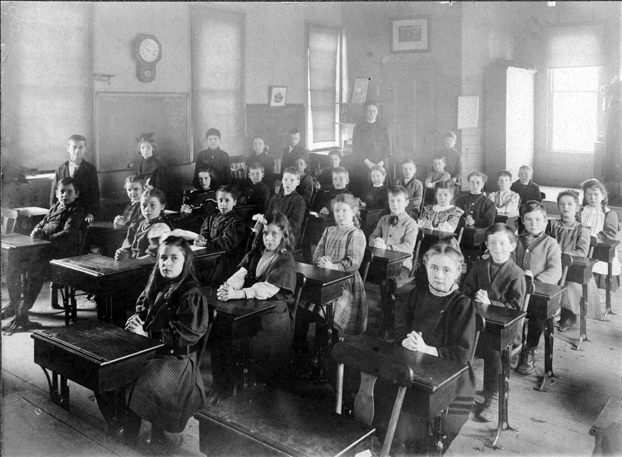 Captioned by the teacher’s grand-niece, this photograph shows the seventh and eight grades at the Center Primary. This school house is now known as the Faunce School. For another class photo, see here. Kingston’s storied history of building ocean-going sailing vessels stretches from about 1713, when shipwright Samuel Drew and his son Cornelius set up shop on the Jones River, until 1874, when Edward Holmes launched the brig Helen A. Holmes, or perhaps until 1898 when Edward Ransom built only Kingston’s only steamer, the Tiger. 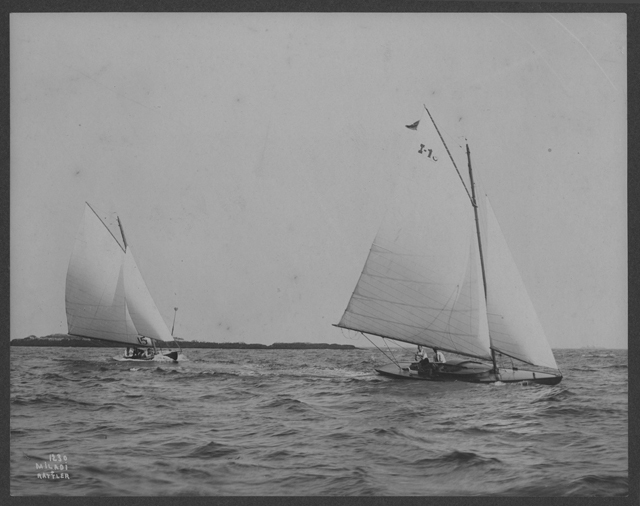 As the era of great sailing ships passed away, for a short time Kingston ruled the yachting world. 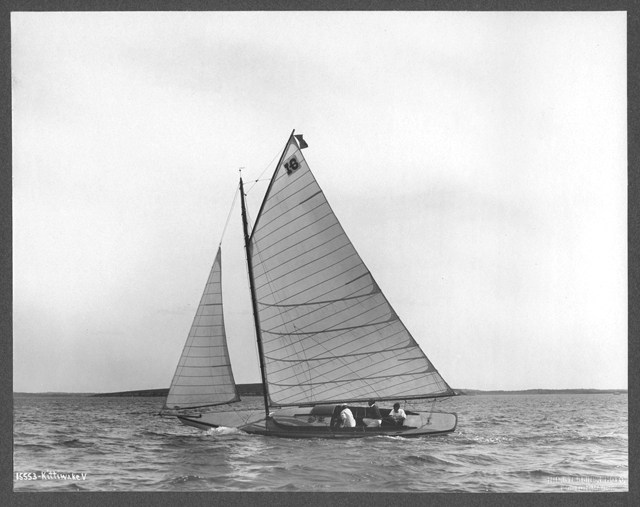 This month’s exhibit highlights some of the knockabouts, catboats and spritsails built in Kingston and raced in local waters by members of the Kingston Yacht Club, whose annual regatta is this weekend. The house at 196 Main Street, partially visible on the left in the photo above, stands on land purchased in 1785 by David Beal, and was probably built around then. The store wing was added in 1794. Beal’s son, David Jr., then his son-in-law Horace Collamore ran the store until Henry Hunt and his son-in-law Azel Sampson bought the store and house. George E. Cushman started as Sampson’s assistant but eventually took over. 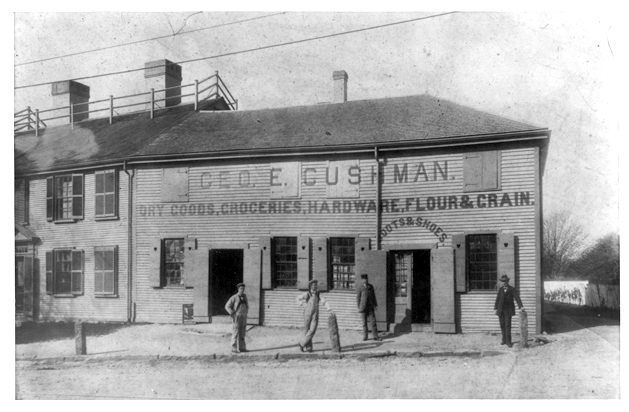 He ran the store in this annex until it was demolished by Mrs. Sampson in 1902. Cushman’s horse-drawn delivery wagons were featured in an earlier post. 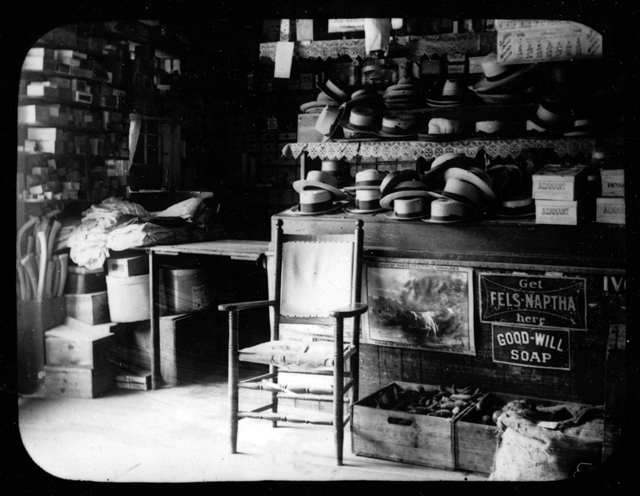 [The lantern slide above] shows the “hat shop”, medicine drawers, “office” niche and way into the Sampson house where shoes were on sale. A door opened from this (south) end of the main store into the shoe store, the north front rooms of Mrs. Sampson’s house. Perhaps more varied in goods offered for sale in country stores but typical of the sort of store, the forerunner of our modern department stores. 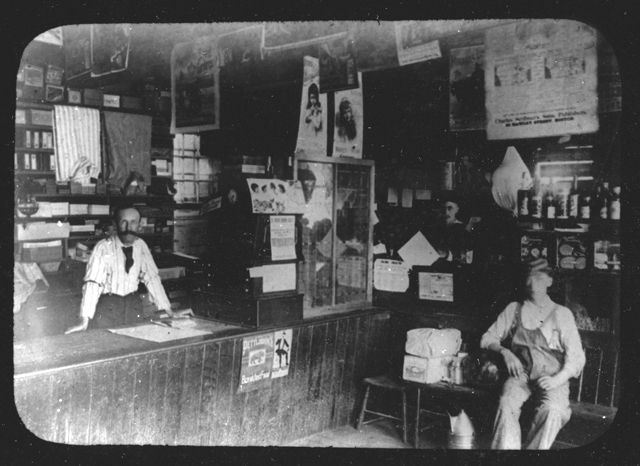 Shown left to right: George E. Cushman, owner and proprietor; in background, Ezra S. Wright, clerk; on settee John Mange, helper and store-boy, who lived at #39 [Main St.]. Between Mr. Cushman and Mr. Wright is the Post-office with its boxes into which mail for the neighborhood was distributed. When the government office was moved to Stony Brook, Mr. Cushman, at the request of the neighborhood, maintained a branch office. Sources: Emily Drew’s card file; Major Bradford’s Town by Doris Johnson Melville (Town of Kingston: 1976).